The most important financial tip (and weight loss) you will ever read! This same advice can be generalized to other aspects of your life and help you there too! This one tip can even help you manage money, lose weight, reduce stress and become a more informed person! This sounds like a late night infomercial claim made by a greasy guy (probably sporting a pony tail) in a cheap suit, but it’s actually the truth. For my money this is a tip that I would be absolutely lost fiscally if I did not do this. The answer of course, as you have probably guessed, is winning the lottery. Then when you win the lottery hire a dietician and personal trainer and you will look great! Unfortunately there is no easy fix such as this that is 100% foolproof even having great sums of money (I’m looking at you M.C. Hammer and Mike Tyson) is absolutely useless if you do not follow my real financial tip. Let’s imagine that we have some weight to lose. You go to your doctor and say, “I’ve been trying to lose weight for a month and have not lost a pound”. Assuming that this doctor does not go immediately to some weight loss drug or recommend lap band surgery what will she need to know? You will obviously reply, “I have been eating really good and working out”. At this point is where there is a problem because your data are flawed. Many people who are unsuccessful at losing weight or reshaping their body do not know what “eating really good” is in the first place. I remember for about 3 hours 10 years ago I had a six pack. This was achieved through disciplined exercise and eating. I remember at a work potluck I remained in my office. One of my co-workers came into my office devouring a giant slice of cake, “Hey you need to get some food back there”. I said, “No thanks, I brought a lunch.” As I ate my grilled chicken breast and broccoli secretly wanting to eat some cake and other baked goods. This exchange was immediately reminiscent of the old Head and Shoulders commercial where the woman says, “You use Head & Shoulders? But you don’t have any dandruff?!?!?! ?” and the guy says, “Exactly”. Knowing that his lack of dandruff was due to his diligence in choosing a shampoo that kept his scalp flakes at bay. Equally important when I lost weight and had a six pack was making my goal and sticking to it. I knew that eating healthy food and exercising were very important to implement my plan. However, when I was starting I did not realize how unhealthy I was in the first place. It is impossible for a doctor or accountant to develop a plan for you based on “I have been eating really good and working out”. We need to have a detailed account of what we have been doing as it relates to the aspect of our life that we would like to change. If you come to your doctor with a baseline of all the foods you have consumed and exercise you have done she can help you from there. It is too easy to say that you have been eating really good, but leave out the Coke you drank or maybe you are eating “Fat Free” cookies thinking that these are healthy snacks. Since May 2004, I have tracked every dollar I have earned and spent. This is the most important financial tip I can share! With more information available one can make better, informed, decisions. 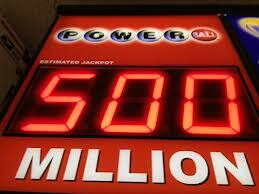 If I am not tracking my spending and spend a few bucks on lottery tickets every few days that is no big deal. Where did all the money in my wallet go? If I am recording every dollar I will see that I am spending $500 a month on lottery tickets, then I know where I need to cut expenses. This is a drastic example and I would hope that if you are spending six thousand dollars a year on lottery tickets that you are at least cognizant of this wasteful spending. This record keeping is useful in multiple ways. Obviously it allows me to track the money I have made and how that money has been spent. In many ways it also acts as a personal diary. I can look at a few consecutive transactions and recall specific events of a day from nearly 10 years ago. Sure, I already have a fantastic memory, but if I allow myself a few pieces of information it allows me to be transported back to that day (YMMV). In May of 2004 I bought a new computer and had a free copy of Microsoft Money. I found myself constantly opening my wallet and thinking, “Where did my money go?”, I usually did not have an easy answer. Sometimes I could retrace my spending, but usually I just let it rest. Once I had the program and more financial responsibilities I decided to give it a try. Although I spent less money in 2004 it was actually more labor intensive to track. Most of my expenses were paid with cash which is not exactly optimal for recording expenses. One trick that I developed at that time was to create a category called “Cash” and whatever amount was in my wallet was reflected in this account. The first few transactions I would laboriously track all of my spending down to the penny. I quickly learned that this was not time efficient, nor was it a viable option for long term spending. I decided to devise a rounding system that worked for me. If I went out to the grocery and purchased a soda that was $1.06 and I handed them two dollar bills, I would record it as $2 and then put the change in a jar. If I paid with one dollar bill and six cents of change I would record it as $1. I only treat dollar bills as money for the sake of recordkeeping in my wallet. I found that this minimalizes the work involved in recording money spent. It also acts as a form of savings by never spending change, even quarters, I was saving a fairly substantial amount. I personally use Quicken, but mostly because it was very easy to import my data from Microsoft Money which I used because it was included with my computer. Mint is a very good free internet based platform that even includes an app for your phone. If I were just starting out with keeping my data I would start here. The most important thing is that you keep it in whatever manner is most conducive to you actually doing it. You can have the most advanced financial software developed by NASA, but if you never use it then it is useless. If you would use a notebook or ledger on the other hand you should definitely use that instead. Maybe I am too trusting, but I link all of my banking accounts into Quicken and Mint and download these transactions every few days. I then go through and categorize spending appropriately. Once you have data on your spending you will be able to use this to implement changes nearly immediately. Another funny phenomenon happens by virtue of your own awareness you may actually spend less. You start to make the decisions up front about purchases you may regret. This same thing happens even more when you are trying to keep track of what you are eating. You look at the number of calories per serving and rethink even eating it. If you are losing weight write down what you eat and round up on the servings you are consuming. These kinds of data are not only important for getting help from others, but greatly improve self reflection. It’s easy to say I don’t spend much money on food, but when I break down spending it becomes a little more clear.